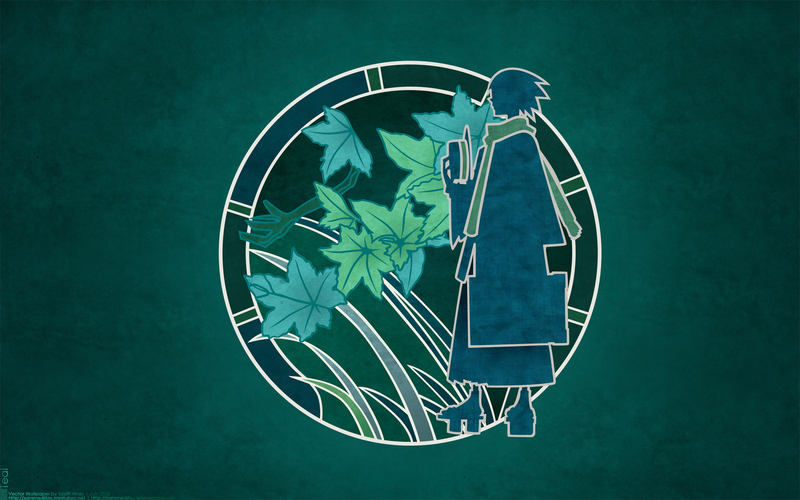 This is the third and final wallpaper I did for Sayounara Zetsubou Sensei. Altogether it took about 4 and a half hours. I really like your 3 walls of Sayonara Zetsubou Sensei. The concept is great, the use of colors from the same family worked just fine and the vectors are really neat. I like the three too! But I think the purple is the best of the three (because it's my favorite color XD)! yeah this one is the best! I love this just as much as the rust one. Your colours fit the mood much better. His pose is contemplative amid the rustling leaves, and it has a traditional feel that I like. Once again, textures are put to great yet subtle use, and the bold outlines do no overpower but give a simplistic yet profound feel... I have to fave this too. Oh and it's good to see that you use smaller sigs now. Much more suitable IMO. Loving it! You're feeling art noveau or something? :-) The size doesn't fit my desktop but just the left corner itself is making my computer look beautiful. I don't care what the others say; I'm keeping it there! cuuuute (?) Nozomu TwT~~~~~ hya!